Give me a Hemoglobin A1c of 7.5, and I’ll tell you you have diabetes. Give me an EKG with ST elevations and I’m sending you off to the emergency room. Give me a boy who is active, bouncy, grumpy, defiant, aggressive, combative, sweet, sensitive, fearful, shy, and tender all rolled into one and I have no idea what to do. Give me almost daily phone calls from the principal of the prior school. Give me constant reports from family members about his difficult behavior. Give me sleepless nights and buckets of tears and I keep trying to figure him out. What happens inside the brain is a mystery. Thousands of neurons firing. Thousands of connections being made. Thousands of signals to control the body, the emotions, the thoughts, the dreams. And yet, this Super Tall Guy just seems to “be wired” a bit differently. I’ve read 7 or 8 parenting books and hundreds of blogs and articles on the internet. We’ve done months of counseling (which seemed to help mainly me!). A whole battery of assessments years ago. Time outs. Time together. Removal of privileges. Rewards. Grounding. Behavioral charts. Taking away toys and gadgets. 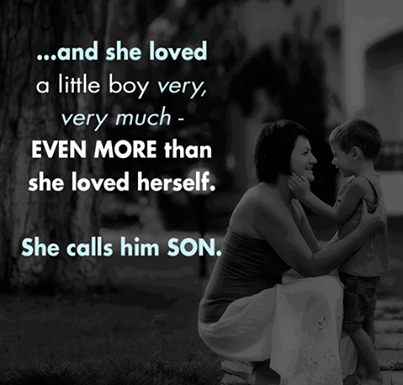 You name it, and yet he remains a mystery – spontaneous, impulsive, defensive….challenging, oh so challenging to parent. “Definitely ADHD,” she said as we sat in the small conference room at the neuropsychology office for the “feedback” session. “All the testing points to it and believe me, it took a tremendous amount of effort on my part just to get him to focus and complete the tasks in the evaluation.” Uncovering the brain…. You know how you can sit there blank and not have any questions at all? Nope. Not really. Will definitely google this later. I’ve been wary of the diagnosis for years now. Is the rise in the number of kids with ADHD a true picture of the burden, or is it another clear case of trying to fit kids into a mold that’s just not right for them? Is there something we should be doing differently or is this just the way it is for some kids? For my boy, he just never met criteria each time we filled out questionnaires before, and yet on more in-depth testing it pops out. I can’t deny it really. He is impulsive. He interrupts. He bounces off the couch. He punches his brother and then acknowledges that the bump was likely an accident as the little one walked by. He is a zombie in front of a TV set as the rapid-fire stimulation of Transformer Rescue Bots engages his neurons. He hates spelling words. His handwriting is awful. He plays with Legos but his 5-year-old brother can construct them more easily. You want to label the kid rude, aggressive, immature. Maybe it’s a lack of consistent parenting. Maybe it’s my fault. Maybe it’s a lack of motivation. Maybe it’s his fault. Maybe his brain is different. Tomorrow we meet with the psychiatrist. Tomorrow we talk about calming down the brain with medication. My stomach tenses. I wasn’t ready to discuss medication at age 4 or 5, but now? But now, we might need just a little more help…. uncovering the mind of my son….